En este vídeotutorial podrás ver cómo aplicar una imagen a una persona, de tal forma que la foto resultante parezca que dicha persona tiene un tatuaje convincente. for a head start. Steps below. For this project, you’ll need two images: One of a tattoo graphic and one of a person who will model the tattoo. 2. Choose File – Place (Embedded or Linked), select tattoo.png. 3. Move the tattoo layer above the model photo layer. 4. Move, scale, or rotate the tattoo so that it’s roughly in the position you want it over the model. Press Return (or Enter) to place the image. 5. 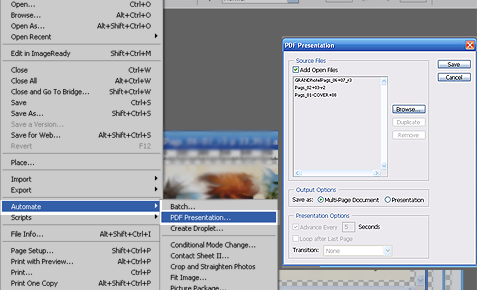 In the Layers panel, right-click on the tattoo layer and choose Convert to Smart Object so that future edits are non-destructive. 1. In the Layers panel, select the tattoo layer. Set the Blend Mode to Multiply and reduce the layer opacity to 80%. 2. Click the Add layer mask icon, select the Brush tool and paint with black to mask unwanted areas of the tattoo. Tip: Modify Brush size and hardness from the Options panel as needed, or increase and decrease the size of your brush quickly with the bracket keys. 3. Create a realistic lighting effect on the tattoo: With the mask still selected, set the brush opacity and color, then paint over the part of the image you want to highlight. Tip: In this example, the brush is black and opacity is 10% to paint over the white area of the mask. 4. In the Layers panel, click the Link icon to unlink the tattoo image from its mask, and then click the tattoo thumbnail to select it. This lets you edit the graphic independently from the mask. 5. Choose Edit – Transform – Warp. Drag the grid and grid handles to warp the image to the shape of the model’s body. Press Return (or Enter) when you’re done. 6. Choose Filter – Blur – Gaussian Blur. Adjust the radius to create a subtle effect that will help unify the tattoo with the model’s skin. 7. Choose File – Save As to save your image.